Sun and clouds mixed. High around 75F. Winds WSW at 10 to 20 mph..
Clear skies. Low 42F. Winds WNW at 10 to 15 mph. Recent forecasts predict “above normal” wildfire activity this spring and summer throughout Washington and northwest Oregon. At a Senate Energy and Natural Resources Committee hearing to examine the Trump administration’s fiscal year 2020 budget request for the Forest Service, Cantwell highlighted projections by the National Interagency Fire Center that point to a worse-than-normal wildfire season in both eastern and western Washington for April through July. The prediction does not include August and September, which are traditionally some of the worst months for wildfire activity. 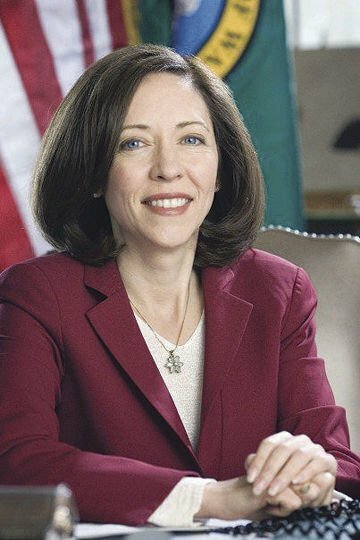 In her questions for Forest Service Chief Vicki Christiansen, Cantwell highlighted bipartisan legislation she sponsored during the last Congress to provide hundreds of millions of dollars in new funding for wildfire prevention and fuel reduction programs, and asked Christiansen to ensure the critical efforts continue to receive the funding they need. “We worked very hard, collaboratively, to try to give money for fuel reduction – $546 million in the omnibus. We want to make sure that money is being used as best as possible at this moment. Can you assure me that is going to happen, that you are going to spend fuel reduction money that Congress has given you?” Cantwell asked. “We are not going to wait, and I can assure you we are going to invest those funds in the most critical places with the highest risk,” Christiansen responded. Cantwell also asked Christiansen about how new technology for firefighters could be implemented to lessen the impacts of fire season throughout the Pacific Northwest.